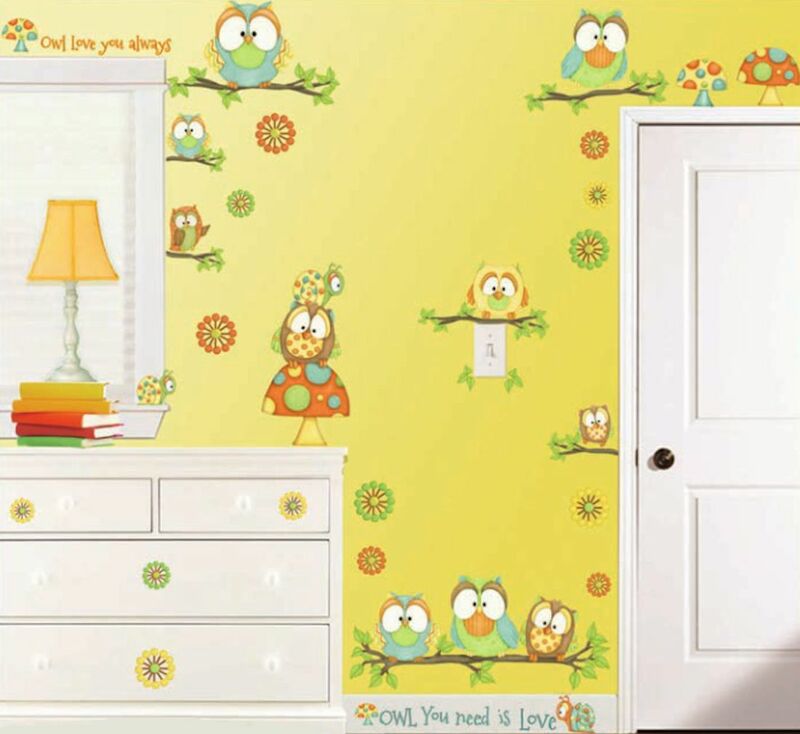 Transform a little girls room into a beautiful bird sanctuary with these cute and colorful owls with our Who's Hoo Peel and Stick Wall Decals. Perfect for decorating nurseries, bedrooms, game rooms, toy rooms, daycares and more! Easy peel and stick, removable and reusable. Will adhere to any smooth, flat, dry surface. Not for textured surfaces. Super cute and easy decorating. Features cute owls perched on branches and mushrooms. Arrange them to sit on top of our peek out beside your doors. Includes 46 precut decals - Decal are printed on clear material. White or light colored walls are recommended for best results.